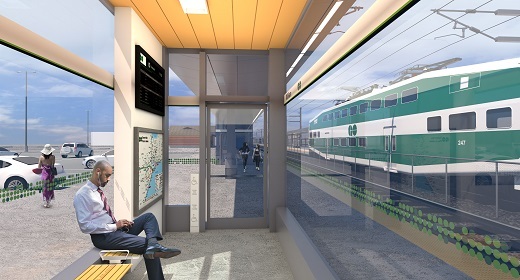 Major improvements are underway at Milliken GO Station. 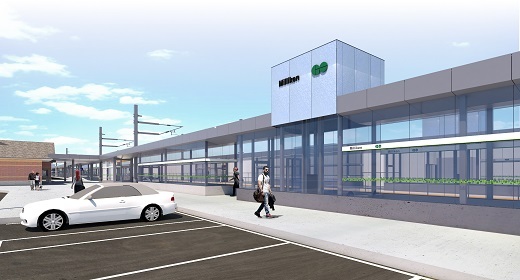 We're updating amenities, building an vehicle underpass and pedestrian bridge on Steeles Ave, enhancing accessibility and making it easier and more convenient to access GO services. Starting April 29, accessible parking spaces that were near the platform will be relocated to accommodate construction (see construction map below). Please remember to give yourself extra time to get to where you’re going. Don’t forget that construction and station improvements are also underway at neighbouring GO stations: Agincourt and Unionville. 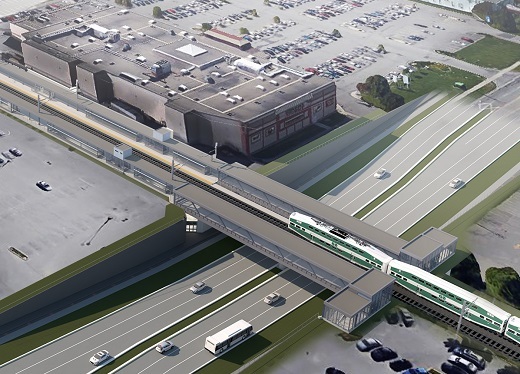 In 2019, there will be major changes to Steeles Ave as we build an underpass bridge near the train tracks. We are doing this so trains and cars can move through the area more easily. You will still be able to access the station along Redlea Blvd, but please give yourself extra time to catch your train. If you normally walk to the station, please use the temporary walkways provided. a pedestrian bridge across Steeles Ave that will connect to both platforms. Updated April 15, 2019 | All renderings are subject to change.